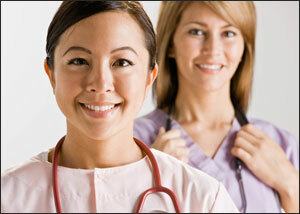 This site is dedicated to the nursing assistant educators in the State of Illinois. Identify and analyze issues affecting the practice of CNAs. Promote the quality of basic and continuing education programs for CNAs. Monitor clinical practice issues affecting the direct and indirect patient care activities of CNAs and their impact on educational programming. Provide a forum for the exploration and discussion of problems unique to CNA education. Represent and serve as spokespersons for CNA education. Study and evaluate trends and research in education, nursing, and healthcare. Issue statements of position and recommendation to appropriate government bodies. Please use FireFox or Safari to access. This course is intended for those instructors due for refresher in 2019. This is the first component of the refresher requirement. Participants must be approved to teach theory, clinical and Alzheimer’s content and be an Approved Evaluator prior to registering for this course. FROM IDPH: **IMPORTANT – INSTRUCTOR REQUIREMENTS: Participants must meet the qualifications outlined in the June 2013 Illinois Administrative Code Section 395.160 Instructor Requirements. To see the requirements, click on the following link: http://www.ilga.gov/commission/jcar/admincode/077/07700395sections.html. Please contact Randy Carey-Walden, RN, MSN, CCM, Public Service Administrator for the Illinois Department of Public Health Education & Training Division. Email IDPH at dph.bnatp@illinois.gov with participant questions. Follow us on Linkedin and Google Groups!